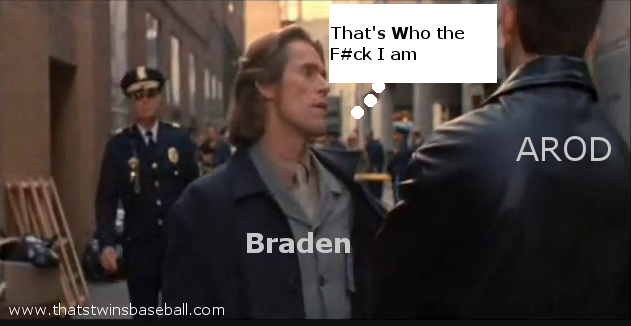 Braden and AROD in Boondock Saints | That's Twins Baseball. A Minnesota Twins Blog. The first thing I thought of after Braden pitched a perfect game today was Alex Rodriguez and ‘Mound-gate’. Now Braden can say this….